Peter Stockland: Your latest research paper is called “Living La Vida Lonely.” Who is lonely and why? Peter Jon Mitchell: It comes out of Cardus Family's interest in understanding marriage and its contribution to the common good. We looked at what might be traditionally considered the prime marrying age between 20 and 34. Marriage is declining, that's no big secret. We see that cohabitation is rising up as well, which has been noted before. But what we noticed was that more people within this age group are living not partnered, not married, not common-law. And that's been increasing. Are they living lonely? I guess it’s the big question. In one sense if this is a choice then maybe it's not really a big deal. On the other hand, if people would rather be partnering, but it’s taking longer to get there, then maybe it is more concerning. And at the same time, we're seeing that births are being delayed. Starting families later has an impact on fertility, which might have an impact on how many children families would like to have. Certainly, there are other factors that might be contributing to a delay in partnership or no partnership, and that has implications personally and for common life together, whether it’s fertility rates in a time when our society is aging, or other economic concerns. Peter Stockland: It’s sort of two-fold, isn't it? For the people in that age group themselves, it’s a critical time to understand what it means to be in a stable relationship or develop a stable relationship. By delaying it they're coming to understand that much later, is that right? Peter Jon Mitchell: There are a lot of things in life to negotiate for this age group. In some ways, it is unfair to look at a 20-year-old and a 34-year-old and have the same expectations. It’s why in the paper we've broken it over three age groups, but those trends largely hold, and we're seeing the same trends in delay of partnership. Young adults are having to negotiate their expectations with the other stressors they're facing: developing careers, finding financial stability, and other things they're trying to manage at the same time. There is some irony that, in this time, in this culture that values choice, there are so many factors that affect partnership that remain in the limited control of individuals. Maybe we have lost a little bit of the understanding of what marriage really is and how it functions, not only in the lives of individuals but in a community and our country at large. PS: What the 34-year-old knows about negotiating relationships is something he or she traditionally began to learn in that 20 to 24 age group. A point the paper makes is that's historically when you are entering into society and learning how to make your way. By the time you get to your mid-30s, you should have learned it. That touches the broader social implications, doesn’t it? PJM: Marriage and partnership are not the only traditional markers of adulthood that young adults are arriving to later. There’s a complex inter-relationship of factors that contribute. For example, the financial aspect of needing to stay in school longer to get more education to compete in the job market, and steeper entry into the housing market. There’s trying to find work that's stable – a lot of young people are doing contract work – and other aspects of employment that are telling. But economic issues aren’t all of it, either. There seems to be a sense of an elongated pathway into adulthood for various reasons. One author speaks of a slow life strategy, starting even back in the teen years, where teens today are taking less risks, and with that less responsibility. So fewer teens are entering into part-time work or delaying their driver’s license, different things that we are seeing as markers of teen freedom and responsibility. And with that, middle class and upper-class families are directing more capital, whether that's money or opportunities or social capital, into their young people as a way of preparing them to launch into better schools. PS: They’re essentially safer but less well-equipped. PJM: We’re seeing this in other areas as well. Stats Canada has noted people are staying in the family home longer, or at least returning to the family home. Think about the movie Failure to Launch. Some of it might be cultural in that multi-generational family homes are becoming more common according to the data. Some of it might just be care-giving responsibilities. But, certainly, some of it is economics, the difficulty of starting an independent household. It can also be the slow life strategy as well. Among 25 to 29-year-olds, about a quarter are in the parental home. Of that quarter, 26 to 27 per cent have never left the family home. And this is increasing. PS: I was shocked by the number in the report that for Canadians between 20 and 24, only 3.7 per cent have entered into marriage, almost a two-thirds drop from two decades ago. That's got to have broad social implications. PJM: It was the one number that surprised me the most as well. Marriage has almost all but disappeared in that age group. It does have a significant impact for the future, especially for the future of marriage, and how we understand marriage. We've also learned that among that age group, cohabitation has slipped so in general they're just not partnering as much. Earlier this year, the Angus Reid Institute surveyed unmarried young adults within the 20 to 34 age range and found about half who weren't married want to get married someday. When they began probing what might be preventing people from being married, financial stability was a significant answer but so was not having found the right partner. I take from that young adults haven't necessarily given up on marriage. They still see it as a viable option, but it's just one option among many. So, it’s almost an attitude of it's nice but not necessary. The traditional pathway of getting education, getting married, buying property, having children, is much less clear these days. PS: The question then becomes what are the catalysts that are actually going to make you feel secure, the longer you delay? PJM: Somebody has suggested young adults don't see marriage or partnership a milestone of adulthood. It’s a possibility, it's an option, but they're looking more towards financial independence, whatever that might mean. There is a sense of loss of that understanding, of really seeing partnerships as part of the process. When you lose that, it creates less clarity about what it means to be an adult. How do I define myself? How do I understand myself? What’s my identity when these sorts of markers are less clear? Those are some of the bigger questions young adults are wrestling with. PS: I wonder if these numbers suggest our children grow up in a culture that doesn't know how to sustain difficult relationships or overcome difficulties. The message becomes: don't get into relationships in the first place or abandon them at the first sign of trouble? PJM: I've always felt that for marriage to survive in the culture it needs the support of the culture. It needs other institutions that support it whether they are faith communities or other places where people gather, community organizations or clubs. 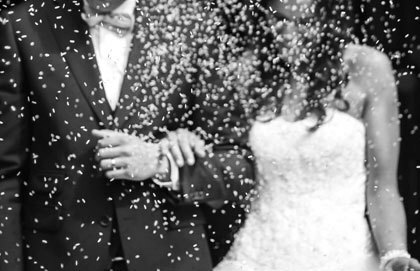 It's no longer the case that people marry because that's simply just what you do. Maybe we have lost a little bit of the understanding of what marriage really is and how it functions, not only in the lives of individuals but in a community and our country at large. So that script is waning. It’s being lost. I wonder too if, in the decline of some of those supporting institutions like religious communities or other communities, we're also losing spaces where people would traditionally have met and gone on to marry? Why are we seeing such high numbers of people who haven't found the right person yet? There is this popular debate whether dating apps and websites are helpful. They open up a wider pool of people, but there's less connection there. People you click on don't come with the backing of friends or community that vouch for them or other supporting structures that would support those relationships or pre-existing relationships. So, I wonder how that plays out in our confusion of trying to find the right mate. PS: You wrote a wonderful piece for Convivium last week on a documentary about the book I Kissed Dating Goodbye, which addressed the Evangelical population. But many of the things they were grappling with in that book, going back to the 1990s are things the #MeToo movement is grappling with now. What's right conduct? How do you behave? Is that part of the inability to understand how you meet and come to know other people? PJM: I think there's tremendous confusion and I think with that particular book and with that particular Evangelical religious community, it promised certain rules or certain steps. If you just follow these then you'll find happiness. It was trying to speak into that confusion which has only grown. It's a confusion I think is very difficult to measure. There is something happening in the culture. PS: When you get rid of all the rules, you reach a point where nobody knows there even were rules. Suddenly, what do we do? We're safe but we don't know how to function. PJM: There’s more freedom now but there's also more confusion.